Were you looking for Missouri Accidents lawsuits? 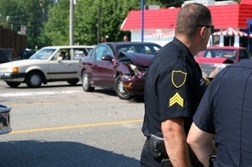 Missouri car accidents constitute a serious threat to the public. Each year, thousands of people are injured and hundreds are killed in a Missouri car crash. These car accidents can result in serious, permanent injury and even death for people involved. People who survive their Missouri automobile accident may face years of rehabilitation and therapy, not to mention lengthy hospital stays and surgery. Send your Missouri Car Accident claim to a lawyer who will review your claim at NO COST or obligation. Car accidents in Missouri involve a wide range of circumstances. They include rear-end collisions, collisions with animals, collisions with pedestrians, collisions with other vehicles, vehicle rollover accidents, speeding, and driving while under the influence. Car accidents can be the result of driver negligence, improper road maintenance or defective automobile parts. Negligence in car accidents takes a variety of forms. These include failure to stop at a light or stop sign, failure to yield to another vehicle, failure to yield to a pedestrian, and, sometimes, driving while distracted (including talking on a cellphone). The exact definition of negligent driving varies from state to state. 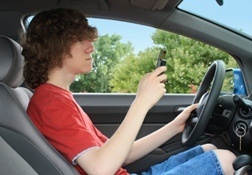 For example, in Missouri it is illegal for a driver under the age of 21 to text while behind the wheel. Furthermore, the graduated license system puts restrictions on new drivers behind the wheel at night. Missouri uses the principle of pure comparative negligence when determining liability in a car accident. This means that in the case of a car accident, the injured party can recover damages for his injury even if he was 99 percent at fault for the accident. In this situation, however, the victim's awarded damages are reduced by the amount of fault the victim is responsible for. For example, if the injured party is 35 percent responsible for the accident, his award will be reduced by 35 percent. In cases of injury caused by negligence, the injured party may be able to sue the driver of the other vehicle, passengers in the vehicle, and, in the case of vehicles driven for commercial use, the owners and/or operators of those vehicles. Defective automobile parts can play a role in serious car accidents and can result in harm to a vehicle's occupants. Such defects include tire blowouts, defective windshields, defective seatbelts, defective seats, defective airbags, roof crush defects, defective brakes, problems with the pedals and other defects that make the vehicle dangerous. In the case of injuries caused by automobile defects, the injured party may be able to sue the maker of the defective part, the automobile manufacturer and the companies or individuals responsible for repair and maintenance of the vehicle. In Missouri, it is illegal to drive with a blood alcohol concentration (BAC) of .08 or higher. That limit is .04 for commercial drivers and .02 for drivers who are under the age of 21. In Missouri, Driving Under the Influence (DUI) is the same as Driving While Intoxicated (DWI). The DWI includes alcohol and/or drugs. It is illegal for drivers in Missouri to operate a vehicle with any amount of a controlled substance (such as marijuana or cocaine) in the blood. A first DWI offense can result in up to $500 in fines, six months in jail, a 30-day full license suspension and a further 60-day license restriction. Drivers also have to pay a $45 fee, attend a substance abuse traffic offender program and provide proof of insurance for two years. The second offense can result in fines of up to $1,000, one year in jail and revocation of the license for five years. A third offense can result in fines of up to $5,000, five years in jail and a 10-year revocation. All drivers who are suspected of driving while intoxicated must submit to a chemical analysis of their blood, breath or urine. If someone is injured as a result of another driver's DWI, the intoxicated driver could spend time in jail. Furthermore, the injured party may be able to sue the person or persons responsible for the accident. This includes the driver of the vehicle, the business that sold the driver alcohol, and/or individuals who provided alcohol to the driver. According to the Missouri Department of Transportation, 47.8 percent of automobile accidents on Missouri highways in 2008 involved passenger cars. There were 402 fatal crashes involving passenger cars that same year on Missouri highways with 467 fatalities. 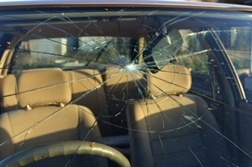 There were more than 25,000 total injuries in accidents that involved passenger cars on the highways in 2008. In total, according to the National Highway Traffic Safety Administration, there were 960 total fatalities in Missouri car accidents in 2008.